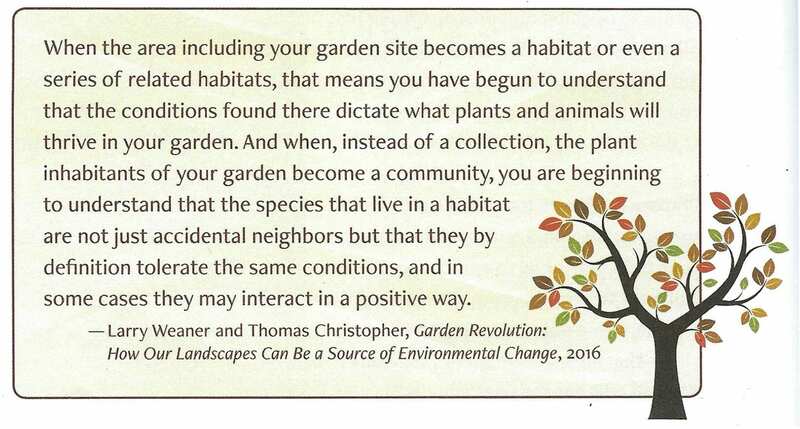 The following excerpt from Climate Wise-Landscaping, New Society Publishers, April 17, 2018, is reprinted with permission. 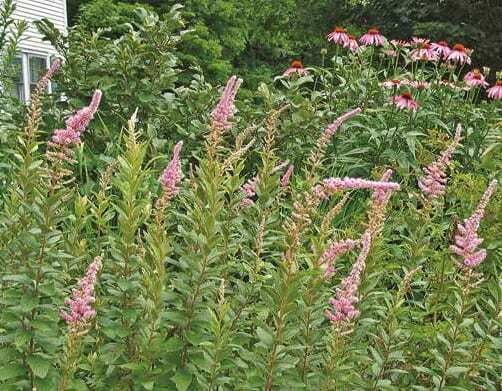 Planting in groups, groves, clusters, and assemblages will benefit the environment— and the gardener—in several ways. First, this type of little ecosystem will provide a variety of niches where many species can do their work and thrive. The creatures that visit one plant can interact with other plants too, and with other creatures. And ideally this will create a diverse and complex web of life, which will enhance the health, vitality, and resilience of the whole planting. Second, the soil in which all the plants are growing can be treated like one entire ecosystem. The natural fallen leaves can stay in place and return nutrients to the soil as they break down. The mulched surface will help moisture seep in and be shared between many plants. And the roots of all the plants can interact in their invisible chemical relationships (some in cooperation, some in competition) that make up the dynamic work of nature. Further, plants growing in groups tend to be more drought-tolerant and wind-resistant than single individuals. Finally, planting in groups and groves will help with storing carbon. By creating beds where a large swath of soil remains undisturbed and gets gradually richer and richer, more carbon gets stored in the soil. And instead of planting an isolated tree or shrub that might be easy to abandon later if we have a change of heart, planting a whole grove or island or peninsula makes a commitment to all the plants. And this increases the likelihood that their stored carbon will remain safely out of the atmosphere. Choose an area that seems likely to remain undisturbed for several decades. Plan for the maximum width of branching, and avoid planting under/near power lines, which might require later pruning or removal of the trees. Also avoid underground infrastructure such as gas, water, or sewer pipes, septic systems, irrigation system pipes, or electric and cable lines. If you don’t know what’s underground, you can call 811, a free service across the US that puts you in contact with the local utility companies that will send out representatives to mark their lines. If established woods or other eco-system already exists on the property, consider creating either an extension or a peninsula to enlarge the overall size of woodland habitat. Remember, though, that our human developments have already created plenty of edge habitat, so it’s preferable, if possible, to simply enlarge the outline of a woods, thereby increasing the amount of interior habitat, which many species need. 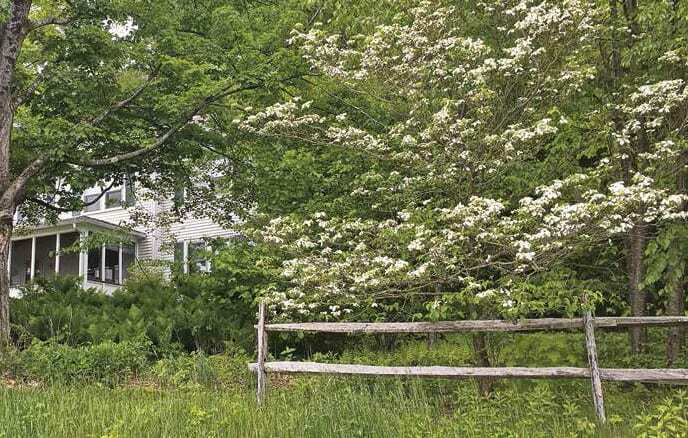 If your own property has distinctly different soil or bedrock conditions than are typical in your region, this will necessitate further research to match species (consult with nature centers and botanic gardens for advice). If the location of your intended grove is in a distinctly different micro-climate than other nearby woods, i.e., a steep shady ravine, an exposed west-facing slope, etc., these conditions will also necessitate added research into which species will be appropriate. 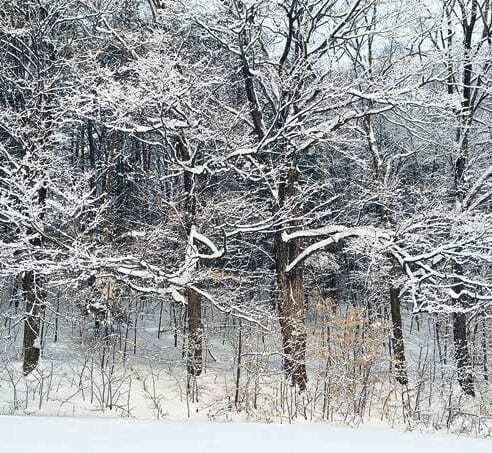 Include a mix of species, including tall trees, understory trees/shrubs, and ground-layer vegetation. Repair scarred edges. If a woodland edge has been chopped away, perhaps to create an opening for construction or just to expand a yard area, seek out and plant large and small (understory) trees and shrubs. Leave space for (and adjust expectations to tolerate) some scruffy growth, as young trees mature. 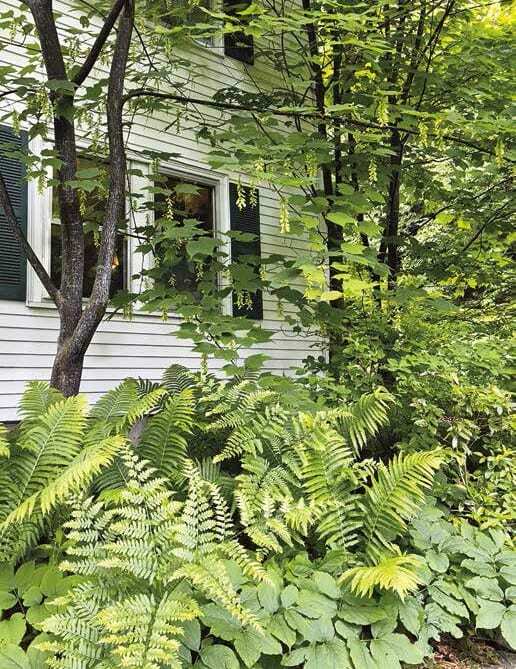 Encourage ferns, grasses, and shade-tolerant wildflowers to colonize the ground at the edge. Prepare for future tree planting. If the soil is particularly barren, dry, or sandy, spread leaves/compost/mulch over the ground and leave this layer to decom- pose for a year or so to encourage the start of microorganisms and fungi that will help tree roots grow. 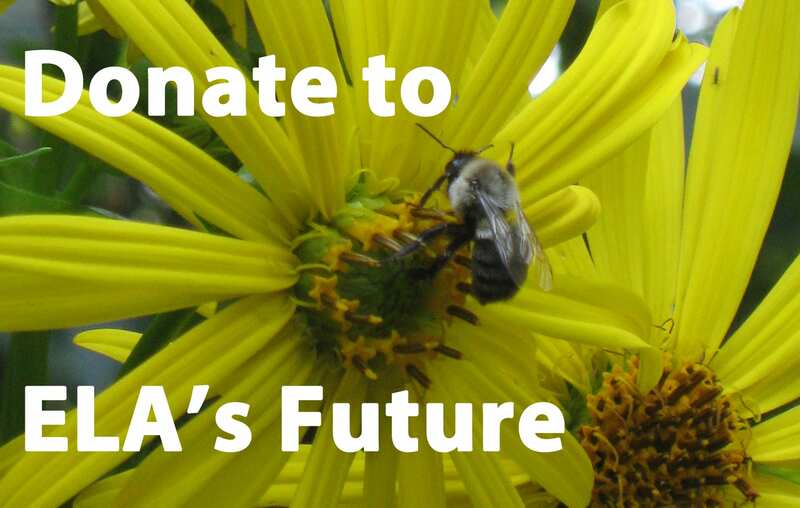 If you just wait a while, some volunteers might show up that you decide you’d like to keep; plants that “plant themselves” are likely to be well adapted to their conditions. You can edit out the ones you decide you don’t want. 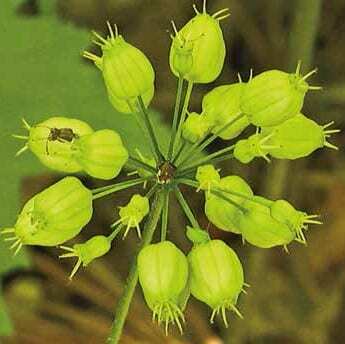 Plant your selected species in distributions and patterns that resemble the way they arrange themselves in nature. For trees, include younger and older individuals. Plant some individuals closer together than you would if they were to be fully rounded specimen trees. Let their branches intermingle, as they do in the woods; the plants themselves will work out the space they need and the space they can’t share. 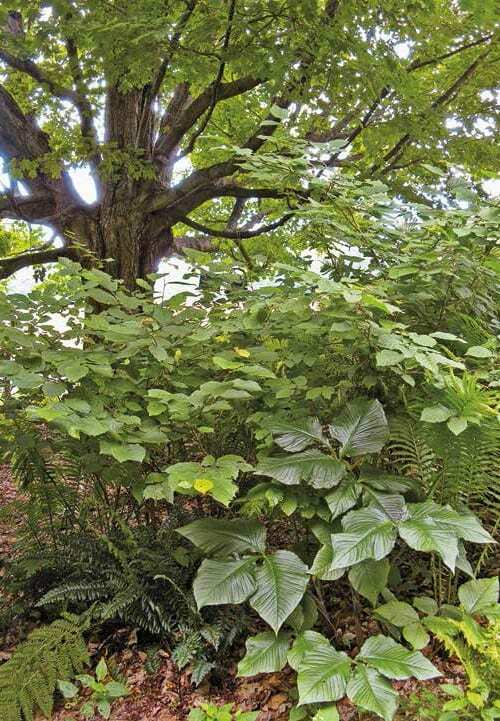 If the site is very sunny, consider planting some fast-growing, shorter-lived species to provide quick shade for slower, longer-lived trees that could eventually dominate. This may mean removing those “nurse” plants at some point if they begin to interfere with the growth of preferred species. Or it could mean just letting nature work it out. One way for landscapes to be healthy and robust is for us to intentionally arrange plants in groups, so that all the life that’s happening belowground (roots, microorganisms, shared chemistries, etc.) and all the life that’s happening aboveground (pollinators, insects, birds, chipmunks, etc.) can freely interact, compete, cooperate, grow, share, eat, die, and decompose in whatever ways nature figures out will work the best. Planting things in groups and groves helps make this happen. Layering plants is not a new idea in garden design. Here, however, we take the idea beyond just how the garden looks to how vertical layers also help support wildlife and diversity, which will help our landscapes better adapt to stresses and disruption. 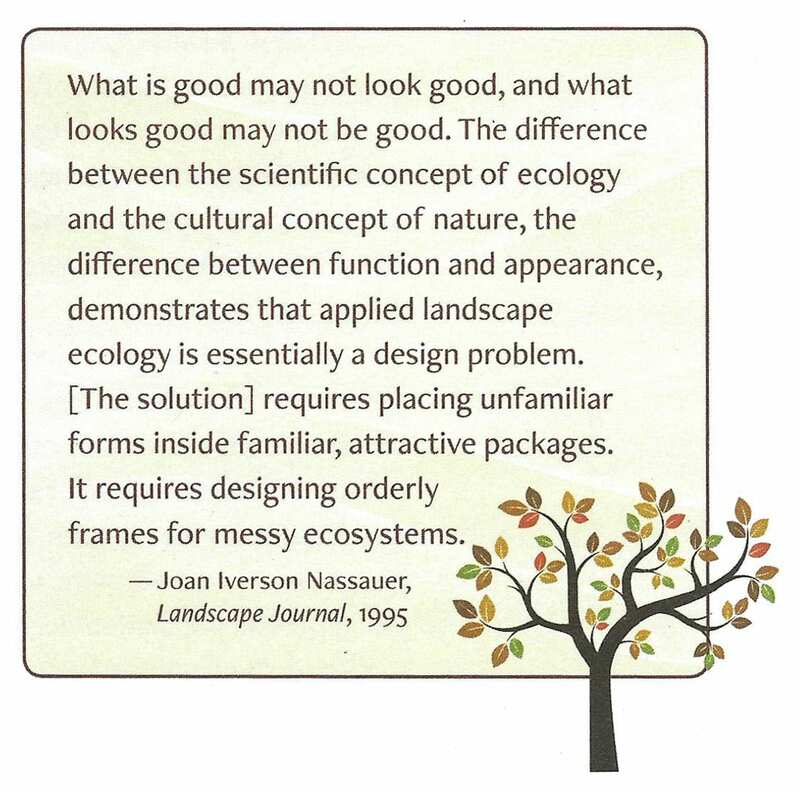 All natural ecosystems consist of structural layers, or what some call the architecture of nature. For example, in the eastern US and other temperate regions, a typical forest community includes (in addition to species living in the soil) plants near the ground surface, shrubs and saplings, and canopy trees that might tower 150 feet above the floor. Prairie, grassland, and desert communities also contain layers, but the layers may come into being over time, as a growing season progresses. Even a mountain bald can support multiple layers of plants, from lichens skinning the rock’s surface to gradually taller and taller (but still relatively tiny) alpine vegetation. What’s important here is that all of these layers provide habitat and specialized niches for a wide variety of animals to live, hunt, forage, and (in some cases) reproduce. Some animals might live in very thin slices of nature, while other species might range across many levels. Some migrating species need to occupy a certain layer of habitat only temporarily as they pass through from south to north and back again. Overall, it is this network of countless individual niches that makes the whole system work. So the more levels we provide, the more species of wildlife we support. Similarly, ecosystems usually contain a mosaic of several communities, interweaving and bumping against each other based on plants’ abilities to thrive in various soil, moisture, and light conditions. The intersection where one community changes into another is a transition zone called an ecotone. Whether narrow or wide, gradual or abrupt, local or regional, this dynamic edge can be loaded with opportunity for many species to thrive because the zone where communities overlap contains more niches than the individual communities on either side, and therefore can support species common to both. The resulting increase in diversity is called the edge effect. We can create these rich edges in our yards and gardens, and the resulting landscapes will be more resilient than they would be without them. Note: Keep in mind that the natural world needs more deep interiors than it needs edges and fractured or diminished ecosystems. However, if we are going to create edges, we should make them dynamic edges full of layers, complexity, and diversity. 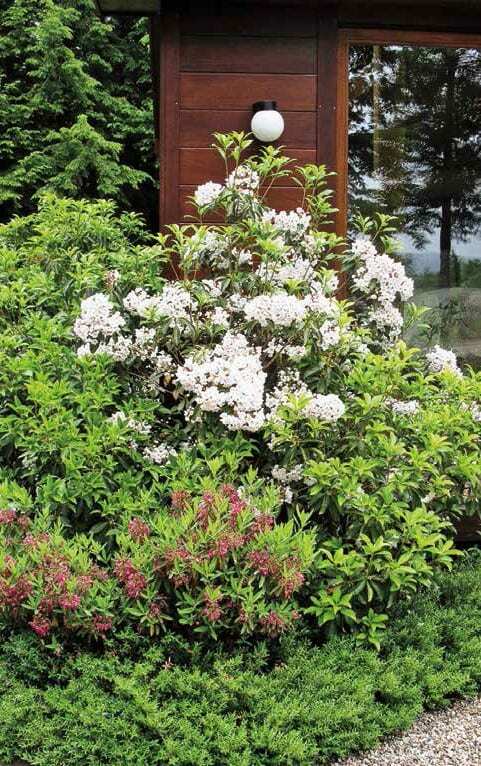 If your landscape is older and established, take a close look at the plants that are already growing there. Notice which ones are doing an important job such as shading the house, driveway, or patio, screening or framing a view, providing rich habitat for wildlife, or serving as the start of a possible new community. Preserve those. Notice which are thriving and which are struggling. If dealing with new construction and a bare yard, start out by defining the location and shape of desired outdoor pathways that will connect them, and decide on the places for ornamental/food gardens. If you plan to include rain gardens or bioswales to manage stormwater runoff, note their probable locations. 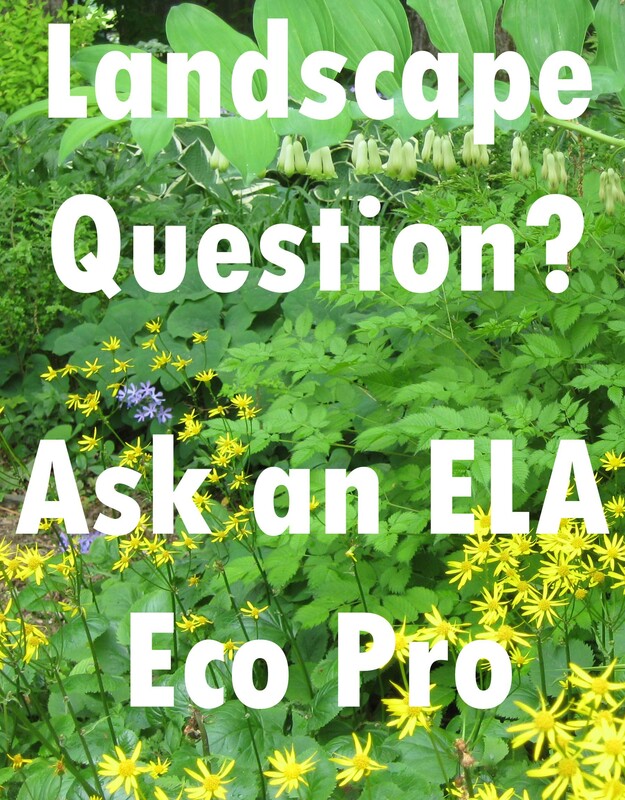 Develop a list of which and how many plants to add by consulting resources that list plants according to their natural communities and associations. Resources that list plants simply in terms of how they look together or in terms of which growing conditions they require miss the point: what matters is how plants arrange themselves in communities of their own choosing. We might not understand the reasons, but they work for the plants. 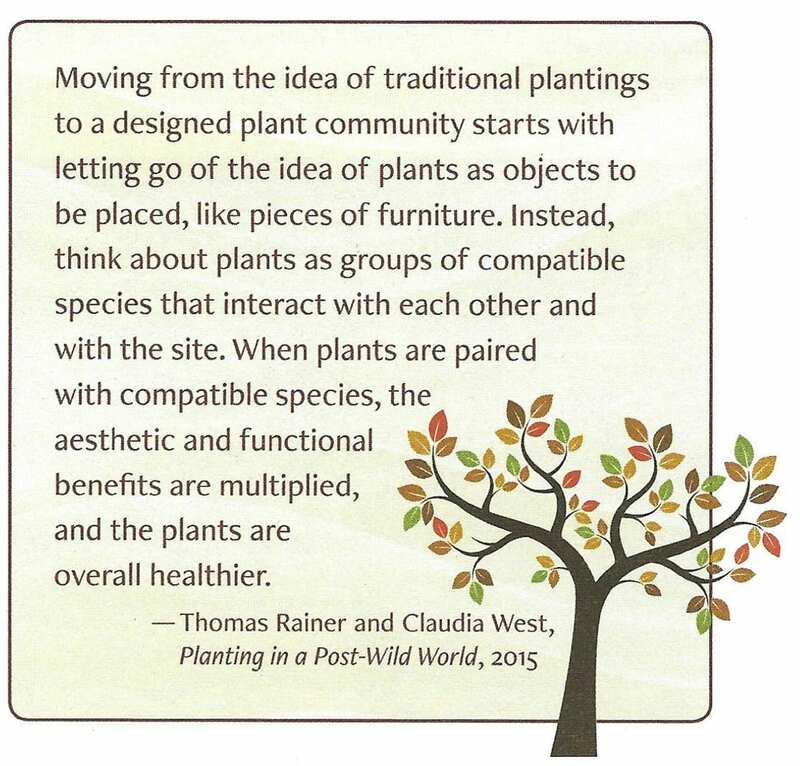 If the naturally evolved communities contain a particular assemblage of plants, it’s reasonable to assume that those plants will also thrive together in similar conditions in our yards and landscapes. Remember that layering takes time, so if possible start by planting the species that will grow the largest, to help the new ecosystem get started as quickly as possible. When planting trees, choose smaller, younger plants grown in containers over larger plants dug from the ground and “balled and burlapped.” Older trees take much longer to adjust to their surroundings than younger ones, and this can delay their growth to a point where the younger ones actually sometimes catch up in size. Plus the mortality rate after planting for larger trees is higher, so whenever possible it’s better to invest in younger trees. 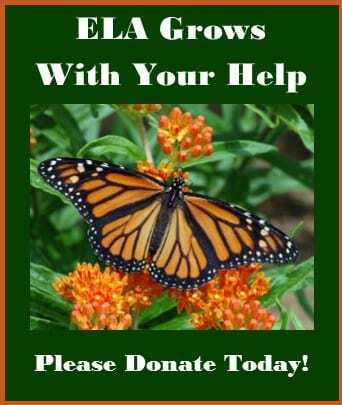 Add habitat at the boundary where lawn meets an established grove or wood- land. Either dig a hole and plant through the turf, or mulch the lawn grass in the targeted area. Either way, use mulch around, but not touching, the new plants. This is least energy-consuming, and it avoids disrupting the soil, which preserves soil structure and carbon and eliminates the possibility of erosion. Treat the soil as a whole system. We know that planting trees in big holes filled with amended soil doesn’t produce good results. It’s a bit like putting a tree in a huge pot: sometimes the roots just circle round and round in the hole. A better solution is to create the optimal soil before any planting: spread a thick layer of leaf litter—ideally collected from within the property—and let it decay for about a year. This gives the beneficial soil organisms time to mix the nutrients downward. After a tree is planted, add a top-dressing of locally made compost outside the planting hole to entice the tree roots to grow outward. You can do this at the beginning of each growth season; each time, place the compost farther away from the tree. Wide-spreading roots make the tree more wind- and drought-tolerant. To some people, edges that have been “diversified” appear less tidy and tended than the more typical abrupt edge between woods and lawn. To relieve any problems caused by this new approach, create crisp and tidy boundaries between lawn (if any exists) and the new softer edge. Or, add cues to care, i.e., elements that signify this new landscape is intentional, and is being actively tended. Sue Reed is a registered Landscape Architect with 30 years of experience designing landscapes that are comfortable, beautiful, ecologically vibrant, energy-sensible, and climate wise. Sue earned her MA from Conway School of Landscape Design and joined the Conway School faculty in 1991, serving as an adjunct instructor until 2007. Subsequently, she opened her own practice in Shelburne Falls, MA, and earned her Landscape Architecture license. Sue has written two books: Energy-Wise Landscape Design and Climate-Wise Landscaping. Ginny Stibolt is a botanist, science advocate, and garden writer. 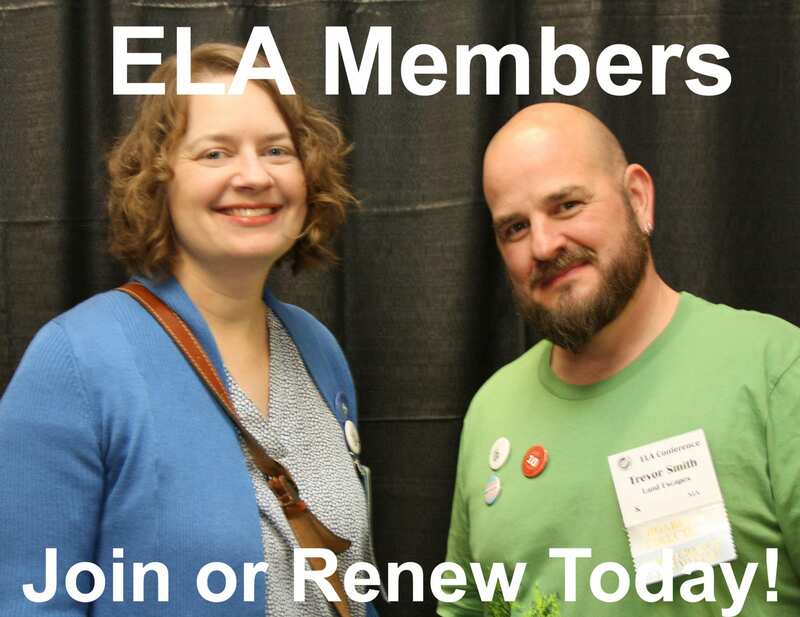 She earned an MS in Botany from the University of Maryland before moving to northeast Florida in 2004 where she began to garden. Her columns and articles documenting her gardening success and failures have been posted to a number of online resources and publications. She has also written several books, including Sustainable Gardening for Florida, Organic Methods for Vegetable Gardening in Florida, The Art of Maintaining a Florida Native Landscape, and Climate-Wise Landscaping. Ginny blogs at www.greengardeningmatters.blogspot.com.